We’ll start with the Clash. 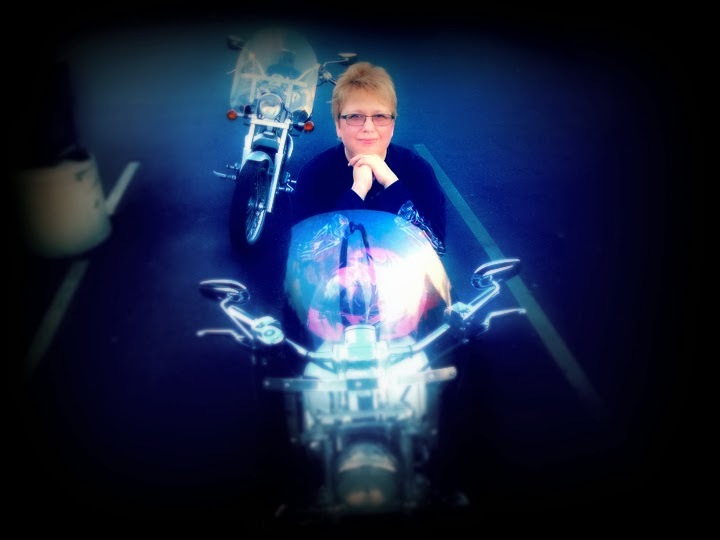 Karla Akins is a pastor’s wife who rides her own motorcycle. She is the mother of four boys and one step-daughter, and grandmother of five. She lives in North Manchester with her husband who is the pastor of Christian Fellowship Church, her twin teenage boys with autism, mother-in-law with Alzheimer’s and three rambunctious dogs. Karla and her husband have been in ministry together for 30 years.